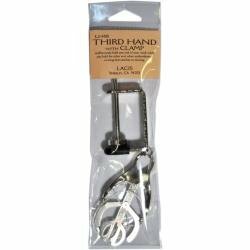 Securely hold one end of your work while you hold the other end when embroidering, running hem stitches or darning! This package contains one third hand with clamp. Imported.